Our evidence-based analysis on creatine features 23 unique references to scientific papers. With the beginning of fall comes the beginning of the flu season, which usually peaks in the U.S. between December and February. While getting the flu is a miserable experience for most, it also can be quite dangerous. The World Health Organization estimates that flu epidemics cause three to five million cases of severe illness and between 250,000 and 500,000 deaths annually worldwide. Preventing the spread of the flu can save both misery and lives. One of the main ways to prevent catching the flu is through vaccination. However, vaccination is not guaranteed to prevent someone from catching the flu for a number of reasons. Sometimes, it’s because creating the annual vaccine requires some guesswork, and the most prevalent flu strains aren’t included. Sometimes, manufacturing problems can lead to less effective vaccines, as was the case for the 2016-2017 flu season. And sometimes, it’s because the immune response isn’t as strong as it could be, so the vaccine doesn’t stick. This particular issue may be more prevalent in elderly people. Sometimes, adjuvants are included with a flu shot in order to boost the immune response, but there are safety concerns about these. One possibly safer way to boost the immune response to the flu shot is by supplementing with probiotics or prebiotics. There’s evidence to suggest that both can positively influence the immune response. It also seems that the way both prebiotics and probiotics influence the immune system could improve the immune response to vaccination. This implies that supplementation could help make flu shots stick. This hypothesis has been examined in multiple clinical trials. However, some of these trials have come up positive, while others have found no evidence of an effect. In order to make sense of the evidence to date, the study under consideration set out to conduct a systematic review and meta-analysis of the effects of pre- and probiotic supplementation on flu vaccination efficacy. The flu vaccine, while very useful, doesn’t always stick. Probiotics and prebiotics are thought to positively influence immune function, opening up the possibility that supplementing with them around the time of getting the flu vaccine could make the vaccine more effective. This systematic review and meta-analysis combined the data from randomized controlled trials in adults that compared the efficacy of the flu vaccine in people that took probiotics, prebiotics, or synbiotics, compared to those taking placebo. The authors conducted the review using PRISMA guidelines, which helps authors of systematic reviews and meta-analyses conduct higher quality, more transparent research. The authors found 19 papers describing 20 trials including close to 2,000 total participants, supplementing for a duration from two to 28 weeks. Of those studies, 13 focused on probiotics, six on prebiotics, and one on synbiotics (a combination of prebiotics and probiotics). About three quarters of the probiotic trials used either Bifidobacterium or Lactobacillus casei or paracasei. The prebiotic trials mostly used either fructo- or galacto-oligosaccharides. However, due to gaps in reported data and differences between studies, the authors included only nine trials consisting of 623 participants in their meta-analysis, with an average age of 75 years. The trials were conducted mostly in the U.S., Japan, and Europe, with one trial done in Chile and one in Australia. About half of the trials enrolled healthy, free-living participants, while the other half enrolled people in hospitals or long-term care facilities. Almost all studies used the typical trivalent inactivated flu vaccine. “Inactive” means that the flu virus is killed, and “trivalent” means that three different kinds of flu viruses are included. Two of the studies used a live attenuated vaccine, which means that a weakened, but still viable, form of the flu virus was used. Given limitations in evaluating antibody titers before and after vaccination across the board in all the studies included in the analysis, the authors focused on evaluating seroconversion and seroprotection rates. Seroconversion was defined as a study participant having at least a fourfold increase in flu virus antibody count after vaccination. This is a mildly nonstandard use of the term, as it normally means detecting previously undetectable antibodies. The serum is “converted” from not having detectable levels of antibodies. In the study under review, the authors are using the term a little more generally, as a “boost” in antibodies against the flu, even if there were detectable levels before vaccination. Seroprotection was defined in a more standard way, as reaching a flu antibody count of greater than 40 in a hemagglutination inhibition test. This measure has been long recognized as the level needed to protect against flu infection, hence the term “seroprotection”. Study quality was assessed with the Cochrane Review risk of bias tool, which guided the authors in assessing the included studies for bias in several areas. Most studies had low risk of bias in most areas. The authors also looked at evidence for publication bias and found none. This systematic review and meta-analysis examined clinical trials looking at how taking prebiotics, probiotics, or synbiotics for weeks affects flu vaccine seroconversion (a boost in anti-flu antibodies) or seroprotection (getting antibodies high enough to be considered protective against flu infection). The effects of pre/probiotic supplementation depended on the type of flu strain in the vaccine. Supplementation significantly increased the odds of seroprotection for the influenza A H1N1 and H3N2 strains, with the odds ratios against placebo being 1.83 and 2.85, respectively. The effect of supplementation on seroconversion for these two strains was not statistically significant. The reverse pattern was seen for influenza B vaccination, with the odds ratio of seroconversion with the use of pre- or probiotics being 2.11, and not statistically significant for seroprotection. Most nonsignificant results did exhibit a trend toward efficacy (i.e., their odds ratios were all greater than 1.0), suggesting that larger sample sizes could detect a significant effect. The only exception to this was the seroprotection rate for influenza B, which had an odds ratio of 0.99. However, with a confidence interval ranging from 0.65, to 1.52, the data are consistent with a positive effect of supplementation on seroprotection here, too. Viruses aren’t made up of cells like animals and bacteria are, but they can still be classified in a similar way. Humans are classified as “Homo sapiens”, with “Homo” indicating the genus, and “sapiens” indicating the species. Similarly, flu viruses can be classified into different genera (the plural of “genus”). Similar to how chimpanzees and humans are in different genera (Pan vs. Homo), the letters “A” and “B” designate the genera of different flu virus. These viruses are related, but different. Influenza A can cause pandemics, or worldwide infections and illness, whereas, to date, influenza B leads only to epidemic illness, which can be widespread in populations, but not throughout the world. While influenza A has received more attention because of this, influenza B can still cause plenty of problems. The infamous 1918 Spanish flu pandemic was caused by a strain of influenza A called H1N1. 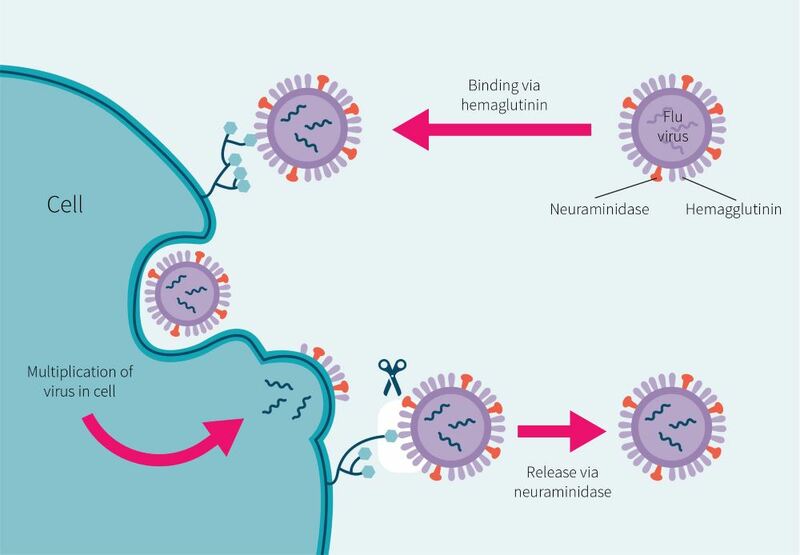 This designation refers to the type of two proteins the virus has, which are shown in Figure 1: “H” is for hemagglutinin, which helps the flu virus anchor itself to host cells, and “N” is for neuraminidase, which helps the virus escape the cell to go and infect more. So, H1N1 has hemagglutinin type 1 and neuraminidase type 1. The studies examining seroconversion showed moderate to large heterogeneity, so the authors conducted subgroup analyses to examine how different study characteristics affected the outcome. They found that the results for the most part remained unchanged, except for H3N2 seroconversion rate, which showed a favorable effect only with probiotics, but not prebiotics. They also discovered that healthy people had the strongest response to supplementation. Age didn’t have much of an effect on response, but health status did. Finally, the analysis revealed that longer duration of supplementation tended to lead to a better response to vaccination. Supplementing prebiotics or probiotics for several weeks tended to improve the response to a flu shot. The response was better, on average, in otherwise healthy people who supplemented for longer periods of time. Overall, this study suggests that supplementing with prebiotics or probiotics for the weeks around getting a flu shot increases the protective immune response to vaccination, especially in otherwise healthy people. It’s less clear how strong this effect is. The authors reported their results as odds ratios, which sound impressive, but are a little difficult to interpret. However, doing some math makes these results a little more clear. 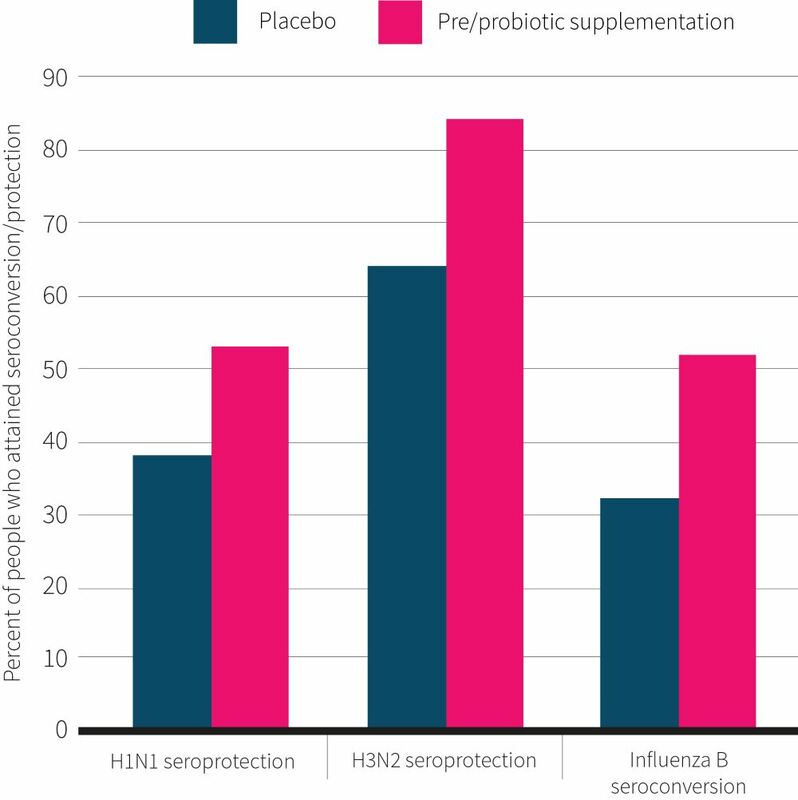 Using the numbers the authors provided, it can be calculated that for the H3N2 strain, 65% of people who took placebo achieved seroprotection, while 84% of people who supplemented did so. Meanwhile, 38% of people who used placebo achieved seroprotection for the H1N1 strain, compared to 53% of people who supplemented. Finally, for influenza B, 32% of people seroconverted when taking placebo versus 52% of those who supplemented. These results are summarized in Figure 2. The upshot is that while taking prebiotics or probiotics is by no means a guarantee that a flu shot will stick, it boosts the absolute probability of it doing so by around 15-20%. What this study cannot tell us is whether prebiotics, probiotics, or synbiotics work best, or what types elicit the best response, since there simply isn’t enough evidence at this time to do reliable subgroup analyses. Recall that the meta-analyses ultimately included only nine trials, and only one of those trials looked at synbiotics. So, while we can say that supplementing with the type of probiotics and prebiotics used in this trial may improve immune response to the flu shot, more research is needed to determine what specific supplementation regimens are best. One final caveat to keep in mind: the average age of the people in who were included in the meta-analysis tended to be above 70. Thus, the results may be more applicable to older people. On the other hand, the authors did look at how age influenced the results, and didn’t find a strong effect. Thus, while it’s reasonable to be mildly more confident that supplementation would help an older population, there’s reason to think that these results could generalize to younger patients as well. This study suggests that probiotic or prebiotic supplementation around the time of getting a flu shot can boost its probability of sticking by up to 20%. However, there’s not currently enough evidence to tell whether prebiotics, probiotics, or a mix would be most effective, and which may work the best. The study under review found that probiotic or prebiotic supplementation could help improve the flu vaccine’s efficacy. However, it didn’t explore the mechanisms by which it may do so. Other evidence sheds some light on this matter, though, which are shown in Figure 3. Probiotics have been found to enhance the immune response in a few different ways which are shown in Figure 3. One is by enhancing the first line of defense against flu infection. Previous research has found that probiotic supplementation with bifidobacteria enhances phagocytic cells and natural killer cell activity. The former can consume flu viruses they encounter, while the latter kill cells infected with the flu virus to prevent it from hijacking the cell’s machinery to create more flu viruses. Probiotics, specifically lactobacilli, also seem to enhance immunoglobulin A secretion into the saliva, preventing the virus from entering the body in the first place. The molecular mechanisms of how probiotics can enhance the immune reaction are still being sussed out, but evidence is currently pointing to metabolites, such as short-chain fatty acids, that are produced by probiotic species and can directly affect aspects of the immune response, as well as the immune system’s direct response to parts of probiotic bacteria like their cell wall and DNA fragments. Since prebiotics are the food which lead beneficial bacteria to produce metabolites like short-chain fatty acids, some of the mechanisms by which they work may be similar. There is evidence to suggest that probiotics and prebiotics work by improving the immune system response through metabolites they generate as well as direct interaction with the immune system. Evidence suggests that pre/probiotic supplementation can have immune-boosting properties clinically shown to reduce the risk and length of infectious illness. When did participants get their flu shot relative to supplementation? This varied quite a bit depending on the study. However, most of the studies inoculated participants with the flu vaccine around four weeks after supplementation began, and many continued supplementation after inoculation for several weeks afterwards. While an effect was seen with this dosing schedule, there’s not enough evidence to say for sure whether a month-long run-in is needed or how long supplementation should continue after vaccination. More research is needed in order to find out how long before or after vaccination supplementation should continue in order to see an optimal effect. But, keep in mind that the study under review did find that the longer supplementation lasted overall, the stronger the response was to the flu vaccine. So, for now, it seems like supplementing longer is better. The flu kills hundreds of thousands of people annually. Vaccination is a major way to prevent the flu, but it isn’t always effective. One way to boost its efficacy could be through probiotic and prebiotic supplementation, which may positively influence the immune system. 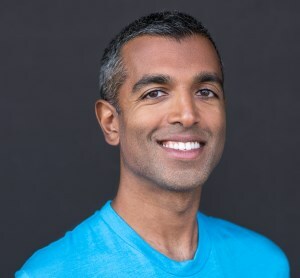 This positive influence has been shown to have real-world results, preventing or limiting the consequences of infectious diseases in several clinical trials. This evidence also suggests that pre- or probiotic supplementation could also improve the immune system’s response to the flu vaccine, thereby increasing the chance of successful immunization. This systematic review and meta-analysis looked at randomized controlled trials examining the effect of prebiotic, probiotic, and synbiotic supplementation on the flu shot’s effectiveness. Researchers found that supplementation boosted the amount of anti-flu antibodies in the blood, which increases the chances that the flu vaccine would protect against getting infected. However, more research is needed to determine if probiotics, prebiotics, or their combination are more effective, and what types of prebiotics or strains of probiotic may work best.